The Magnum™ Spray Foam System is a high density polyurethane spray foam designed for contractors and larger foam applications. 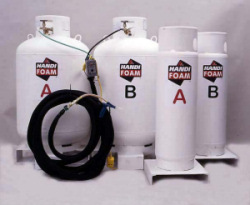 This refillable high density foam insulation system sprays a variety of our two-component closed cell foam formulations. Read this 10 page presentation to learn more about the benefits of our Large Volume Foam System. Request information on the Magnum™ System. 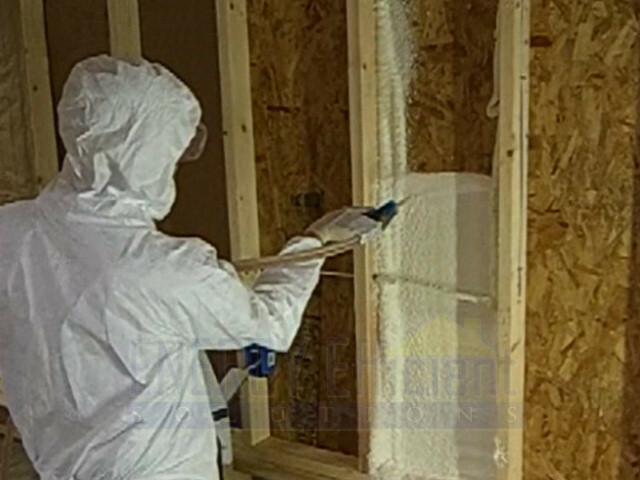 This polyurethane spray foam is a multiple purpose, two-component polyurethane froth foam designed within the international guidelines for protection of the ozone layer, with respect to the Montreal Protocol, 1987 and other environmental guidelines, utilizing a non-flammable, non-ozone depleting blowing agent to assist in the safety of the end user and the environment. 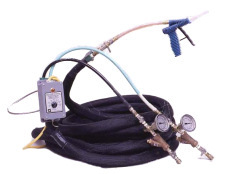 The pre-pressurized, portable two-component froth polyurethane foam kit systems are dispensed through the state-of-the-art Handi-GunÂ® froth dispensing unit, providing unsurpassed quality and flexibility in end-use performance. A CDL with HAZMENT endorsement is required for transporting 1000 lb or more. Vehicles containing 1,001 lb or more must display appropriate placards. 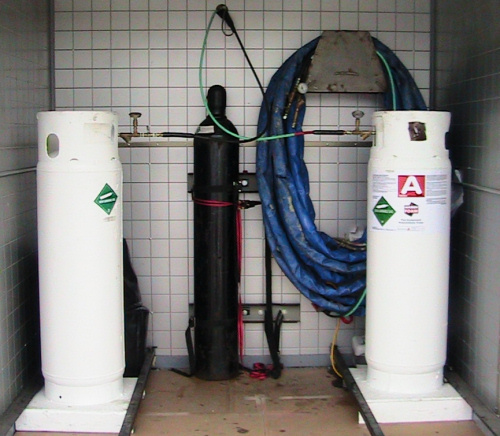 Below is a sample setup of a Magnum™ System in a small trailer. Foam Insulation typically qualifies for a 10%* credit. View our full line of disposable Spray Foam kits.